Today it's INDEX DAY and starts with the RZG index! 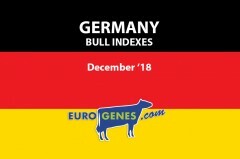 Durable is the NEW chart topper in the interbull genomic list this December run. This DG Charley son notes +167 RZG. The second place is for Expension a Guarantee son with +166 RZG. Together in the second position is Soundcloud with +166 RZG. The fourth in the row is Grateful, also a Guarantee son with +165 RZG. In the interbull daughter proven list is Mayflower still the #1 RZG bull with +155 RZG and 8841 daughters in production. Balisto holds his second place with +154 RZG and 13375 daughters in production. In the domestic list, which mean at least 500 daughters in production in Germany, is Masato the new #1 RZG with +146 RZG. Followed by Mandela who holds the second position with +145 RZG. At the R&W interbull genomic list leads Caudumer Solitar P the list. This polled Salvatore son notes + 165 RZG. The second place is this run for Andy-Red with +159 RZG. This Alreli son also has +154 RZM. The third in the R&W list is Spark-Red with +159 RZG. Spark Red is bred through the Genesland program and is a Salvatore x Debutant out of the Splendor Family! Solution again a Salvatore son follows Spark in the list with +157 RZG. The last in the top 5 is Dreamer a Dreamboy son with +157 RZG. In the daughter proven list R&W is Pat-Red still the number 1 with +152 RZG. Second is the good old polled Schreur Apoll P with +144 RZG. 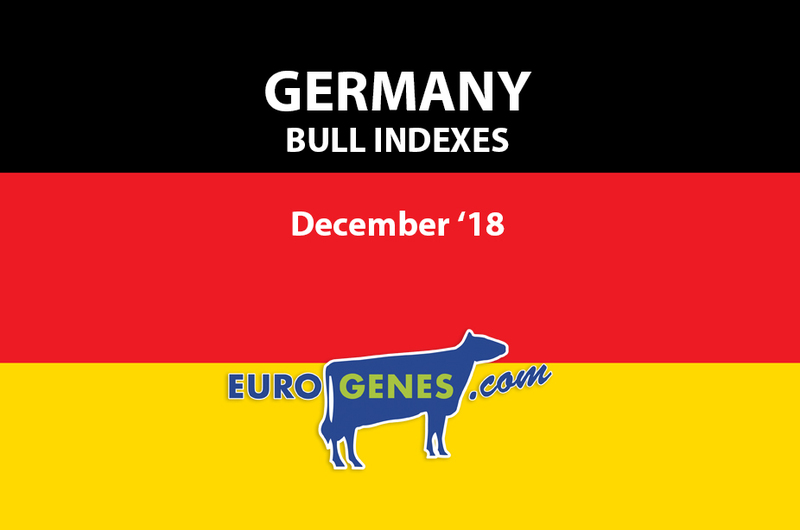 The list with at least 500 milking daughters in Germany is now leading by Apoll P with 763 daughters. Followed by the former #1 Snake Red with +138 RZG and 2620 daughters in production. The third place is for Red Mist with +134 RZG. The well-known Julandy shares the third place with Red Mist with +134 RZG and 2829 milking daughters in Germany.